Why It Is Important To Remove Leaves From Your Guttering? Gutters are an integral part of any Yorkshire home as they direct the flow of rainwater to protect your roof, walls and foundation. Understandably, gutter maintenance is easy to slip one’s mind, however if neglected for too long they can cause damage that is expensive to repair and dangerous to your home. One of the most common causes of guttering clogging, particularly this time of year; is leaves, sticks and other debris. The main role of a gutter system is to direct water off the roof and away from the Yorkshire home&#146s foundation, however a clogged gutter can cause water to over flow over the sides of the gutter, resulting in pools of water around the foundations. If not addressed, over time the water can cause cracks or structural weak points which may result in the foundations potentially collapsing. Of course this is in extreme cases, more commonly the pools of water will create mold and mildew. 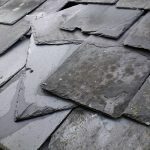 This will happen if the blocked gutter is neglected for a long time, and is more likely to happen if there has been heavy rainfall for a period of time. As the leaves and other organic materials absorb the water the clogged mass becomes heavier and heavier. If left, this can result in the fasteners holding the fascia to the house coming loose and the guttering sagging in areas due to the weight. If a gutter is clogged, water will back up and find other natural paths to follow, sometimes this will be over the side of the gutter causing the water to fall in the ground, but sometimes the water will go into the roof tiles. In situations of constant rain fall, the tiles may separate and water may seep through to the roof causing water damage to the walls and ceiling. 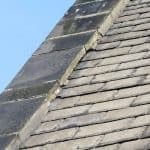 Leeds Roofers understand guttering is often neglected until a problem that need addressing urgently occurs. As a means of preventing problems of this scale and so homeowners don’t have to worry about forgetting to clean the guttering, DPR offer surveying service which will help to prevent problems of this nature occurring on a regular basis. If you would like more information or advice on the DPR services for guttering in Yorkshire, please do not hesitate to contact one of our team today by calling 0113 335 0043.